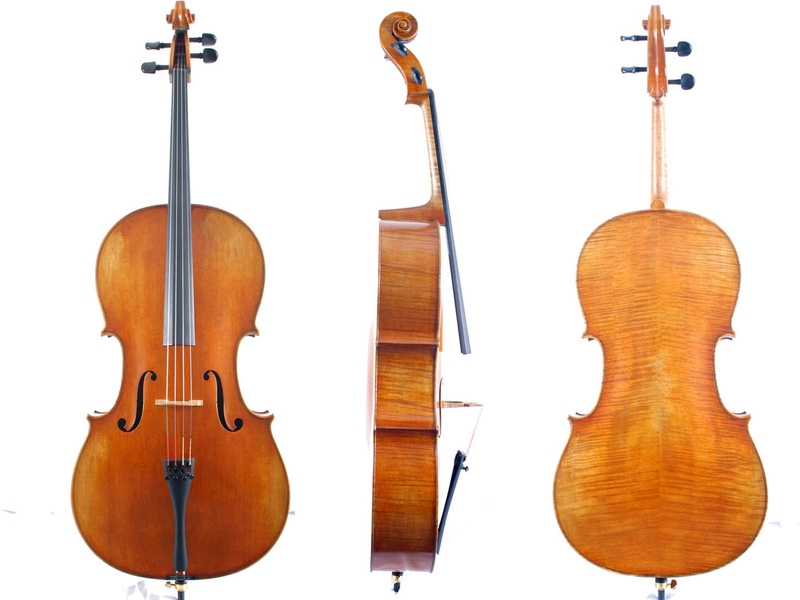 The cello is a larger stringed instrument that is played by drawing a bow across the strings. The cello plays with a very full, rich tone. The player is seated when it is played.